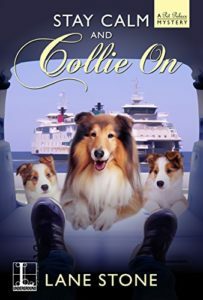 In the second Pet Palace Mystery, Sue and Lewes police chief John Turner head for the high seas to rescue a petrified pug stranded at a lighthouse in the Delaware Bay. Were they lured away for a freshly murdered body to get dumped in her driveway? 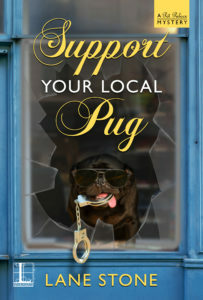 Aided by Lady Anthea Fitzwalter, her practically royal business partner from across the pond, Sue sniffs out clues about the yappy pug with a complicated history in hopes of IDing the culprit. As the investigation leads them back to the bay, the ladies soon find themselves immersed in a case trickier than a canine agility course. FEATURED IN MODERN DOG MAGAZINE!